After visiting a fellow teacher’s family on a New Year’s Eve one year here in Japan, she handed me a box of food on my way out. I watched her going into the kitchen, opened up several boxes and took a bit from each to assemble the bento that she handed to me. 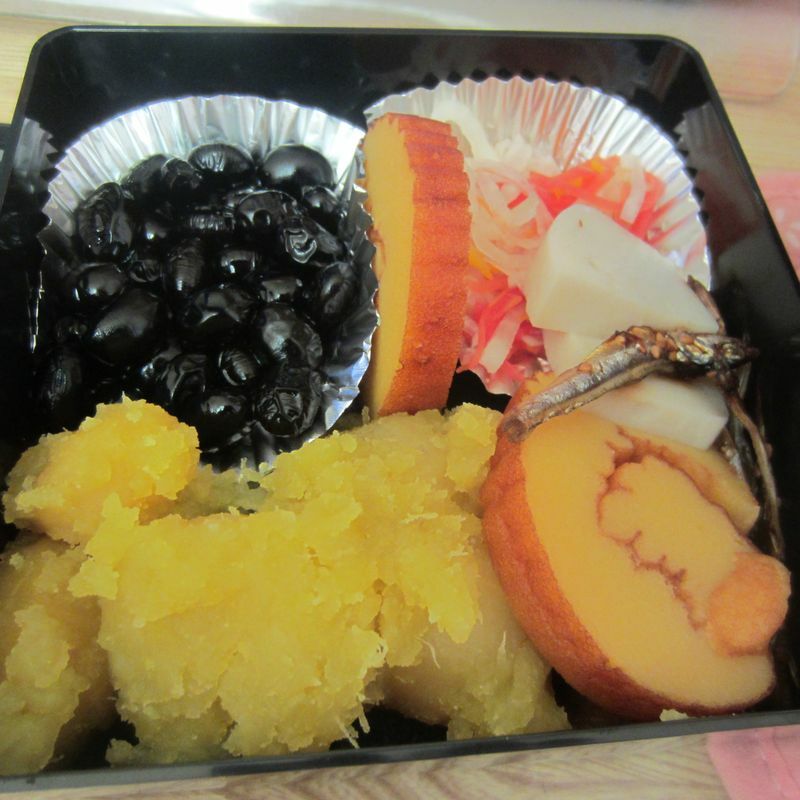 “This is osechi ryouri”, she said. I understood the word ryouri, which is cuisine. But osechi? Seeing my puzzled face, she explained to me that osechi ryouri is a special kind of New Year’s food that housewives often prepare throughout the couple of days building up to New Year's in Japan, and the food is supposedly easy to be preserved so that it can be enjoyed through the first few days of the New Year. The idea is that if the housewife has everything prepared before the New Year, she could then have a few days “off” because she would not have to cook for a few days, which is almost like a vacation away from the stoves, I supposed. “That is pretty nice,” I remarked, “if that gives you a few days of rest." “Yes, but making these is not easier either," she replied. I opened the box, and it had different foods of different colours. 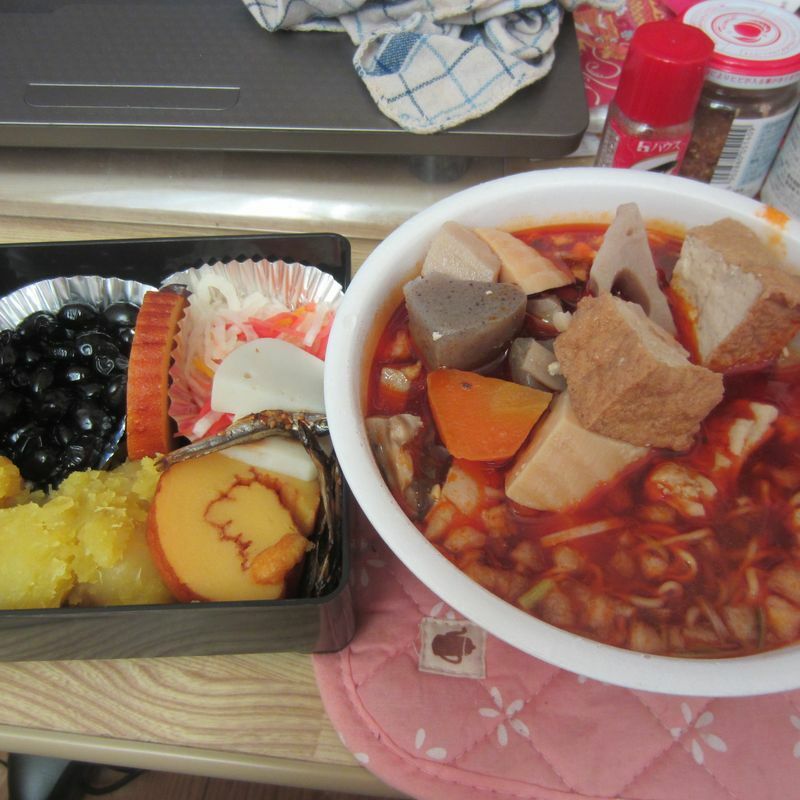 Black beans, roasted pork, sweet potato, egg roll… each one obviously required quite some time to prepare, and when she showed me the big boxes she filled with each item, I realized that she must have worked really hard on the days before New Year’s Eve just to prepare them. “Does that not lose the point of resting?” I asked. She does admit that she finds it a little bit ironic that the break comes after some extra difficult work. It is as if someone paid extra money just to get a discount on their next purchase. With that said, she was very proud of what she had prepared. “Honestly, I would prefer that we just order delivery sushi every day instead, just like what we had tonight,” she said. But of course, that is not cheap at all, and that reminds me of the osechi ryouri I see that convenience stores often take pre-orders for. Those are not cheap either with prices going as high as tens of thousands of yen per box, depending on how luxurious you want it to be. If convenience stores are not good enough for your taste, restaurants often offer them as well, of a higher quality. The question then comes back to that of if the preparation process that earns the wife a few day-offs can be purchased, does that not make it even less meaningful? And more importantly, if osechi ryouri made by someone else is accepted, is there a need for it to be osechi ryouri at all? After tasting osechi ryouri for the first time, I recognized that it was definitely not my favourite kind of Japanese food. The meat is tough, the things are either too sweet or too salty, and most importantly, basically everything is cold! The lovely teacher packed them in one of those Japanese-style square bento boxes for me that is not for microwaving, giving me the idea that it was not meant to be warmed up, and I definitely prefer my food warm. 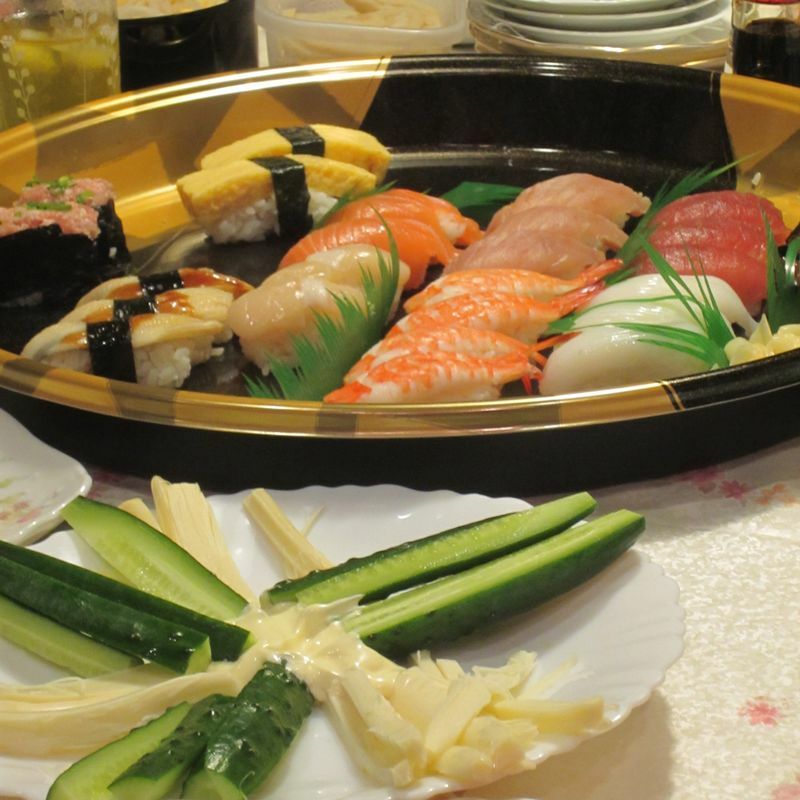 I asked the Japanese people around me, and none of them were particularly fond of the taste of osechi ryouri anyway. They too would also prefer ordering sushi or katsudon, but they take it for granted that they will be eating osechi ryouri throughout the New Year, simply because it is the New Year food, regardless if it was cooked or bought. The conversation definitely taught me a lot about osechi ryouri, or more importantly, how some Japanese people follow certain traditions despite not being very happy about them. I guess the same argument can be made against eating turkey on Christmas or Thanksgiving. If it is such a pain to prepare and the meat is much tougher than chicken, why eat turkey then? Well, tradition is tradition after all. I spend the whole of the 31st preparing food for me and my guy, who's Japanese. I asked him beforehand if he wanted oshechi, and he was like, meh. At the supermarket, I saw some anemic looking, over priced osechi. And noped. So I prepared toshikoshi soba according to my own recipe and kitchen smarts, okazu I know he'll eat, and mochi. And he was impressed and satisfied! And I'm happy, too, not to eat squiggly stuff. We're having an awesome new year with some traditional elements.